Senior Care Authority, the assisted living and residential care placement services franchise, announced the launch of its North Houston franchise and website, https://SeniorCare-Houston-North.com/ on June, 2018. Co-owners Gary and Mickie Blizzard, who help families negotiate the challenges of finding exceptional senior care and residences in the North Houston and Gulf Coast area, chose to partner with Senior Care Authority for it nationwide franchise leadership in an expanding healthcare industry. Gary and Mickie, both of whom have extensive experience serving others and are driven by a desire to help families navigate life-changing aging decisions, chose to improve their website and online visibility with the help of SeoSamba, the international SEO and digital marketing firm. 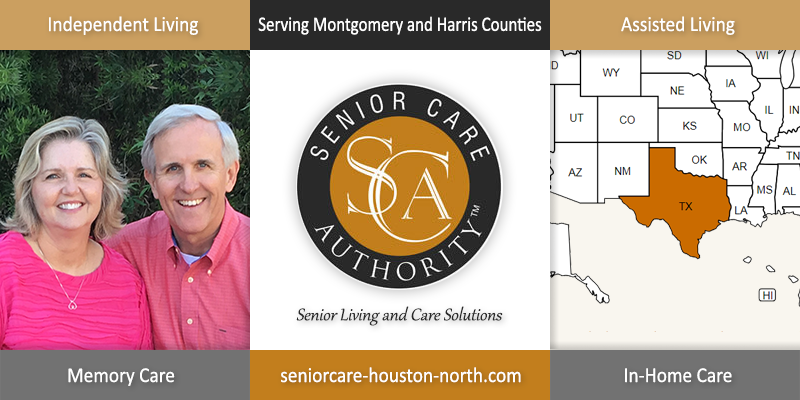 Beyond its newly acquired SEO and online marketing technology, Senior Care Authority, North Houston helps families make informed decisions to help seniors thrive with safety and dignity. Gary and Mickie will provide support and guidance to families facing the often difficult choices about finding the best care for their loved one. Senior Care Authority makes the process of looking for assisted living and other care services go smoother by saving families time, money, and added stress. The company provides expert guidance concerning your loved one including finding the best places to live, receiving the proper care and navigating a complex health care system. Gary graduated from Texas A&M University in 1985 with a BS in Chemical Engineering, and Mickie graduated from Texas Tech University in 1987 with a BS in Home Economics, with a specialization in Family Studies. They have been married since 1989 and have lived in the greater Houston area for nearly 30 years. Gary spent more than fifteen years working in various sales and marketing roles at Conoco and BP, and later held various business development leadership positions with oil and gas service companies. Mickie started her career in social services at Highland Hospital in Lubbock, assessing patients’ psycho-social needs including discharge planning, and acted as a liaison between patient and hospital. She arranged for nursing home placement, home health care, financial assistance, and counseling. Mickie also gained patient care experience working at Spring Shadows Glen Psychiatric Hospital in Houston, where she also served as liaison between the medical staff, affiliated professional staff, administration, and other departments. Gary and Mickie look forward to providing their community the essential services related to all aspects of senior care.